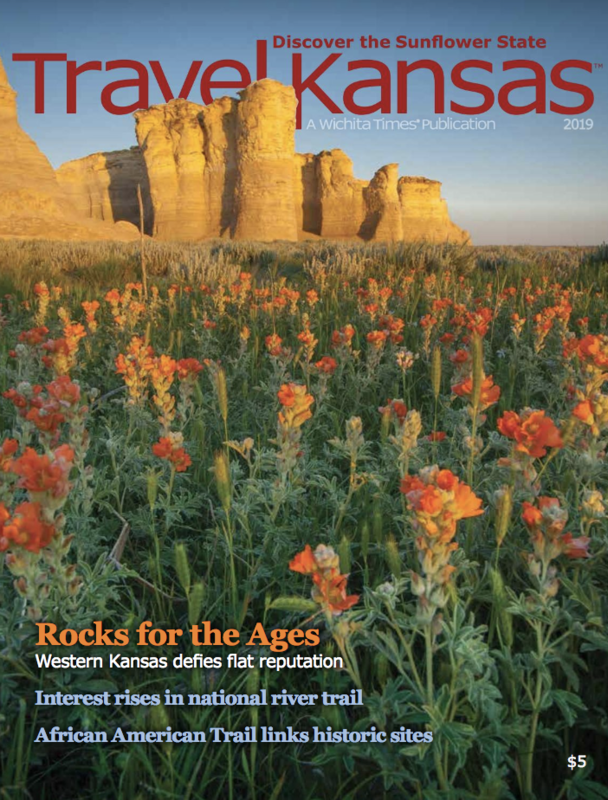 The new edition of Travel Kansas magazine offers a sneak peak at the dramatic rock formations known as Little Jerusalem which this year will open to the public for the first time. You’ll also learn about the country’s second national water trail — the Kansas River — as well as the newly established African American History Trail, the expansion at Eisenhower Museum, and the unearthing of a prehistoric civilization in south-central Kansas. And if you’ve ever wondered where veteran Kansas journalist and traveler Beccy Tanner most likes to visit, you’ll find it here. 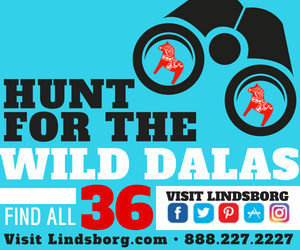 If you’d like a print copy to take along on your travels, the magazines are given away at airports and travel centers or may be purchased at Watermark Books or Barnes & Noble in Wichita. 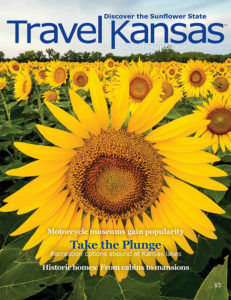 The January-June 2019 Wichita Times magazine is hot off the press and being distributed to Eisenhower National Airport, 70 hotels and other pick-up points. 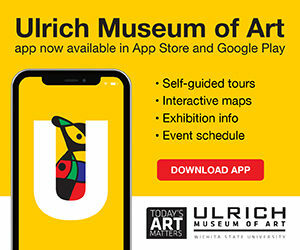 Click here to read all about the award-winning Legos sculptures coming to Botanica, the groundbreaking Georgia O’Keeffe exhibition at Wichita Art Museum, Music Theatre’s summer season and much more. 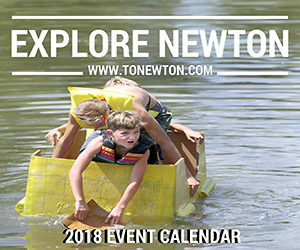 The print and online mags also include shopping and eating options as well as scores of fun events happening in the area over the next six months. The bike share program started in 2017 proved so popular that the number of places to pick up bikes has doubled. Dozens of new stations have been added at locations including the Advanced Learning Library, Riverside Park, Clifton Square, Great Plains Nature Center, OJ Watson Park, Sedgwick County Zoo, and Wichita Art Museum. The program started with 100 cruiser bikes at 19 stations throughout downtown. The bikes, which are provided by Zagster, rent for $3 per hour or an annual membership of $30 ($20 for students). Download the app or get more info at bikeshareict.com. Music Theatre Wichita will open its 48th season June 12-16 with “Sound of Music.” The 2019 season continues June 26-30 with “An American in Paris,” a Broadway classic inspired by the Academy Award winning film. Performances are Wednesday-Sunday evenings with weekend matinees at Century II Concert Hall. Season tickets are now on sale at MTWichita.org.